Sri Lanka is now working through the Foreign Ministry and diplomatic channels to have former Sri Lankan Ambassador to Russia, Udayanga Weeratunge deported to Sri Lanka from Dubai, where he was detained by the authorities there while in transit to the US, Law and Order Minister Sagala Ratnayaka said. “A team of Sri Lankan officers are ready to travel to Dubai and we are making all the arrangements to bring him back to Sri Lanka and file charges against him here,” he said. Weeratunge was arrested by the Dubai authorities on Sunday. He was the former Sri Lankan Ambassador to Russia and had been using a Sri Lankan diplomatic passport, which had been cancelled by the Colombo Fort Magistrate, who also issued an international warrant for his arrest. 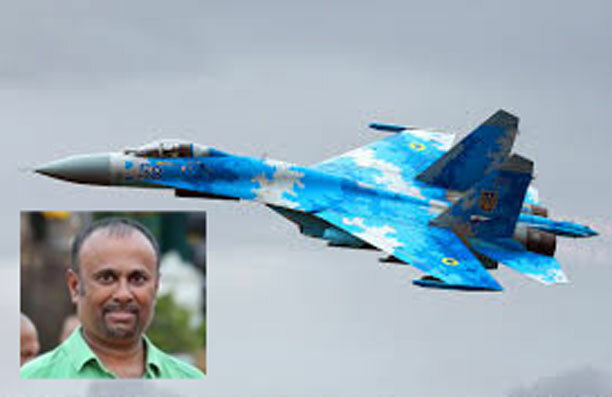 Weeratunge faces charges of having committed financial misappropriation to the tune of US$ 14 million while purchasing four Ukraine-built MIG-27 aircraft for the Sri Lanka Air Force in 2005. “An international warrant was issued for his arrest through the Interpol that he was wanted in connection with a fraudulent MiG aircraft deal.” the minister said. “We notified them that he was travelling on cancelled and invalid passports and he no longer had the right to use diplomatic passports, minister Ratnayaka said. “We had notified him to surrender his diplomatic passport and obtain a new passport, but he failed to do so and through the Immigration and Emigration Department we notified the authorities that he was still travelling illegally on a cancelled passport.” the minister added. Accordingly, he was arrested by the Dubai authorities on Sunday. “However, some parties in the Mahinda Rajapaksa camp are now troubled and worried about this situation and they are issuing various theories. However, we do not intend to proceed with this case the way the previous regime did with Sarath Fonseka. We will follow the proper legal procedures. When we file a case we do so for a reasonable purpose. The case will be heard in a court of law and not at the Presidential Secretariat or Temple Trees. The law in this country assures fairness to all. No one has the right to threaten or attack anyone in this country and we will not stand for that,” assured Ratnayaka. Responding to media queries during a press briefing convened at the Police Headquarters yesterday, Police Spokesman SP Ruwan Gunasekara said discussions were still underway with the Dubai authorities for Weeratunge’s extradition. However, he denied reports that a team of FCID personnel had left for Dubai to bring Udayanga Weeratunge back. “The FCID is currently in the process of initiating further action to facilitate his extradition,” he added. Meanwhile, speaking to the Daily News, Senior Lecturer of the Colombo University Prathibha Mahanamahewa said when a citizen of another country is arrested in a third country there are clear laws that apply in terms of extradition. “Sri Lanka had issued an arrest warrant through INTERPOL and they notify their international network. In this case, Udayanga Weeratunge is also believed to have Ukrainian citizenship. In such instances, the third party country generally extradites the detainee to that country and if there is an extradition treaty signed between these two countries, then it makes the extradition possible. In this case, Sri Lanka has signed an extradition treaty with Ukraine and this should make it possible for the Sri Lankan authorities to bring him back. But there is a process as generally the third country (in this case Dubai) has to hand him over according to international humanitarian law guidelines,” he noted.